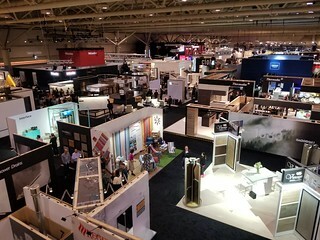 In addition to the ample networking opportunities, the photo ops, and the design inspo (the last two of which are naturally synonymous), Toronto’s annual Interior Design Show (IDS) offered a harsh dose of reality that my place isn’t as great as it could be. But, one could go home and sulk about it (which I may have done for a hot second), or turn it around and use everything seen, heard, and snapped at IDS as #goals. With a theme of “Future Forward,” there was a lot to write home about at this year’s IDS. Here are a few things that caught my little eye – and ones I am still thinking about (and scheming about) weeks later…. Kitchen counters that become installation art. A major talking point – and one that found its way to Instagram throughout the show – was an art installation from Caesarstone. 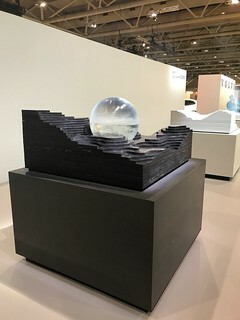 To rethink the concept of the kitchen island, the coveted quartz kitchen and countertop manufacturer teamed up with renowned New York design firm Snarkitecture to create a piece of work that explores the changing states of water (from ice to steam). 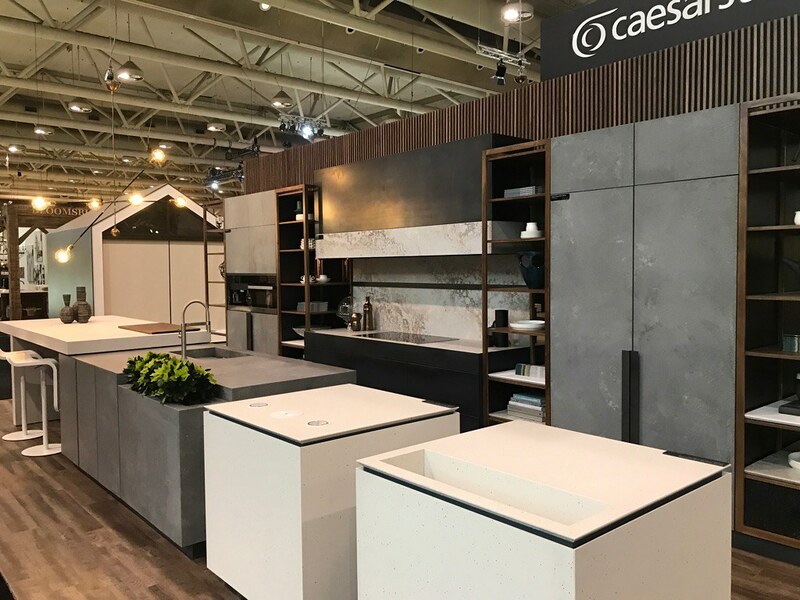 And yes, it made me want to replace my countertops with the sleek and innovative options from Caesarstone. Especially if you couldn’t be further from the Martha Stewart-type (like me),The Dialog Oven from Miele will be your next must-have (if you have the dollars to drop) when it comes to game-changing appliances. Making its world premiere at IDS, the revolutionary oven features M Chef Technology, which allows you to create completely new cooking innovations with guaranteed perfect results. Think: the ability to cook fish in ice without melting the ice (! ), or meat in beeswax without melting the wax, and cooking different dishes simultaneously. Carpets that double as works of art. Carpets are now works of art in addition to pieces to make your home cozier. 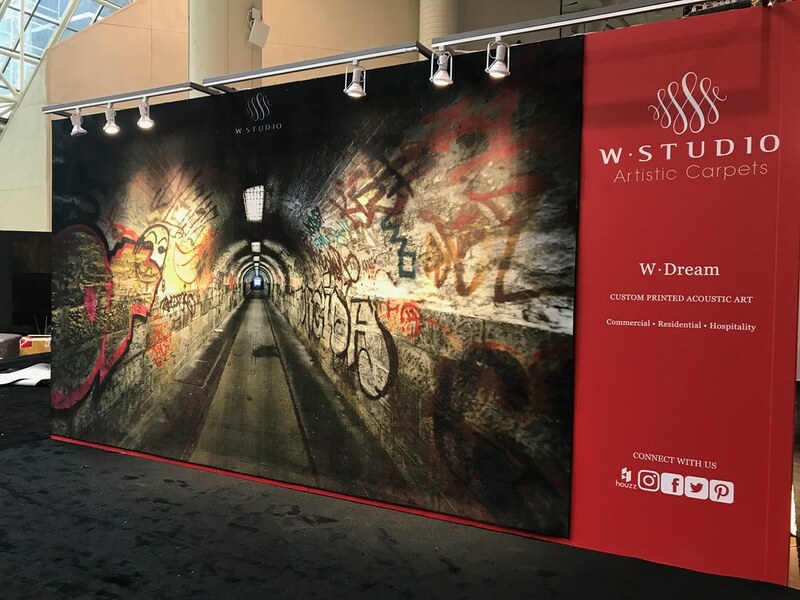 The stunning installation of hung carpets by W Studio Carpets – which resemble both watercolour and graffiti art paintings as opposed to traditional carpets – definitely found their way to Instagram throughout the show. These are decorative art pieces you won’t want to walk all over (but the company has some great more floor-friendly carpets as well). 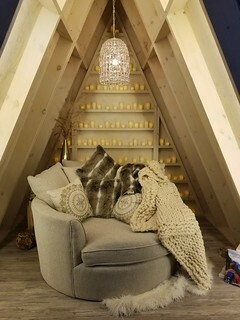 The sprawling and photo-worthy Ontario Wood display, the Clover Pavillion, inspired daydreams of the cottage I will one day build and own (and now that it’s out there, I guess I’ll have to). 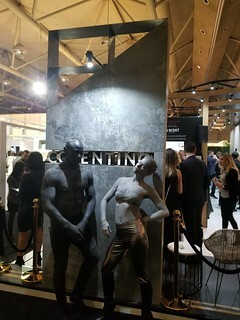 The installation – an exhibit of partially enclosed floral display areas made from tension-activated plywood metals – was designed to highlight the design opportunities offered with the variety of wood species offered in Ontario forests. Local manufacturers produce everything from structural lumber to flooring, furniture, log homes, and artisan goods. I didn’t realize how boring my lighting fixtures were until I discovered all of the visually stimulating, futuristic options at IDS. Designers from across the globe debuted no shortage of innovative – and photo-worthy – lighting options. 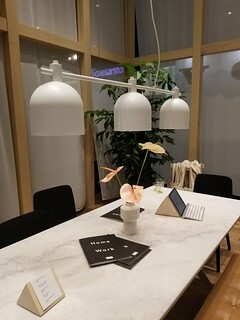 This meant artistic options that can add an interesting punch the most minimalist of spaces, to 3D printed light fixtures. 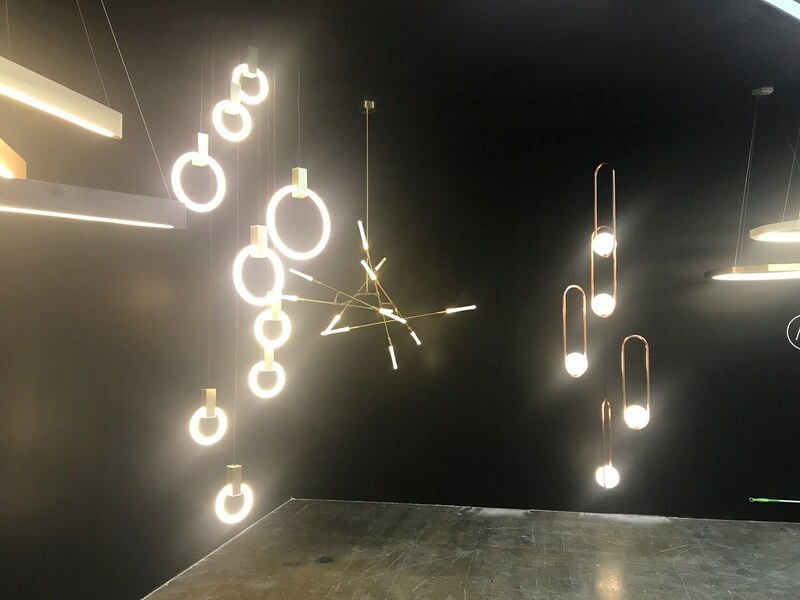 Top picks include the Halo Chandelier by Vancouver’s Matthew McCormick (which incudes ring-like pieces that can be set at different lengths), as well as his Mila pendants.